Brussel Sprouts are a terrific side dish to compliment any Thanksgiving meal. This vegetable is simple to prepare, and when oven roasted, the taste is delicious. Oven roasting veggies isn’t something new, however it has quickly become a popular method of cooking them. Hearty fall and winter vegetables like Brussel Sprouts and squash are perfect for this kind of cooking. 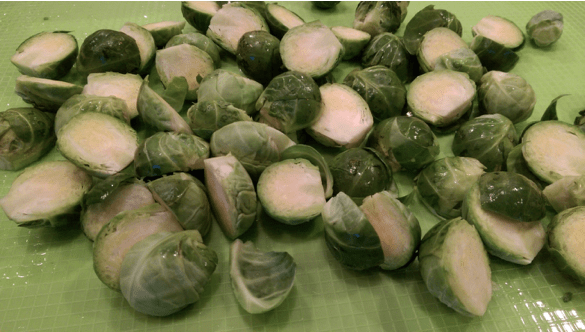 Brussel Sprouts get a sweetness to them when they are cooked in the oven. 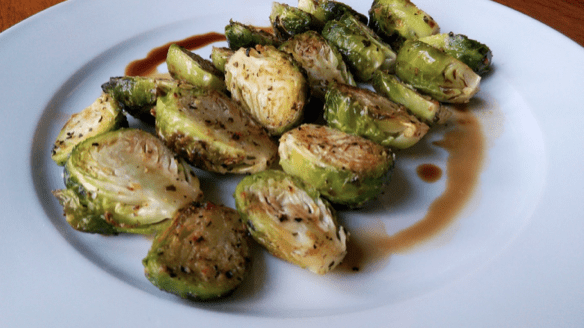 These little vegetables which hail from the cabbage family, are a good source of protein and are excellent source of vitamin C.
All you will need for your Brussel Sprouts is a simple dressing of olive oil and some seasonings. If you like, add several cloves of whole garlic to the mix. Roasting the Brussel Sprouts and the garlic cloves together, well that will just kicked up the flavors tenfold. The Brussel Sprouts will need a little prep work ahead of time, the ends will need to be trimmed. But I guarantee that these veggies are worth the little extra effort. What makes this recipe so special is the garnish. When the Brussel Sprouts are still on the baking sheet fresh from the oven, you can drizzle them with Balsamic Vinegar or sprinkle with Freshly Grated Parmigiano-Reggiano. This will just give the vegetables an extra layer of flavor and it will be a hit at your table. Clean and trim the Brussel Sprouts end and remove any outer leaves that are discolored. Cut the larger ones in half and leave the smaller ones whole. 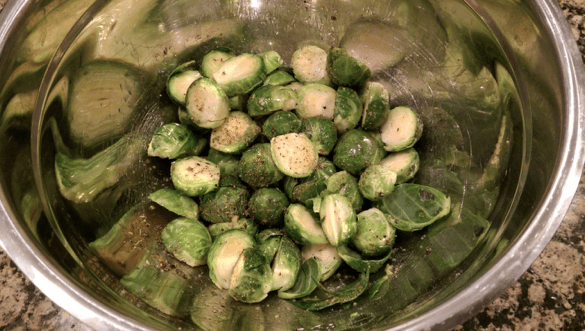 Place the freshly cut Brussel Sprouts in a bowl, add the olive oil and spices and lightly toss. Make sure there is enough of oil to lightly cover all of the vegetables, add more oil if needed. Add the AROMA Italian Seasoning and toss again. Place the cut Brussel Sprouts on a lines baking sheet and bake at 400 degrees for 20- 30 minutes. Cook until fork tender. The smaller ones will require less cooking time so be careful not to overcook them. 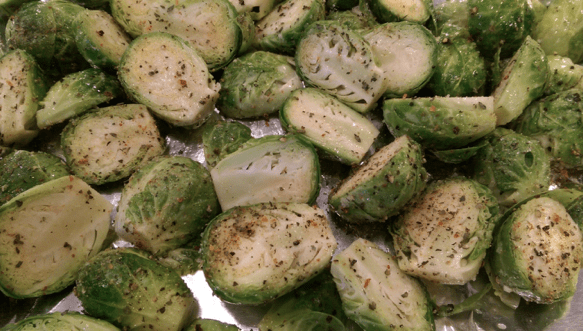 When the Brussel Sprouts are done, remove them from the oven and choose which garnish to dress them with. The AROMA Italian Seasoning marries beautifully with the flavors of the vegetable and either the Balsamic vinegar or the Parmigiano-Reggiano cheese. Oven Roasted Brussel Sprouts with Balsamic Vinegar! 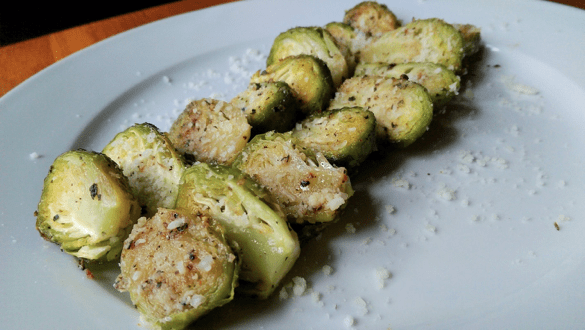 Oven Roasted Brussel Sprouts freshly grated Parmigiano-Reggiano cheese! Clean the Brussel Sprouts, trim the ends and slice them in half. Place the Brussel Sprouts in a bowl, drizzle with the oil, and add the spices. Make sure that there is enough of oil and spices to coat all of the vegetable pieces. Add Brussel Sprouts to a lined baking sheet and bake at 400 degrees for 20- 30 minutes. Cook until fork tender. When the vegetables are done, remove from the oven and garnish with the Freshly Grated Parmigiano-Reggiano cheese OR Balsamic Vinegar. Originally from Rhode Island, Nicky D Cooks is a writer for Ciao Pittsburgh who currently resides in Peters Township. You can find more of her recipes here.